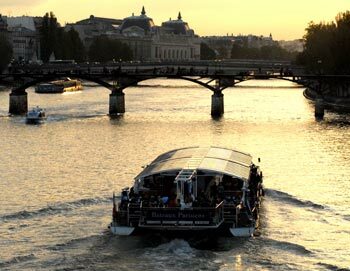 Enjoy a wonderful evening on board the La Marina in Paris! 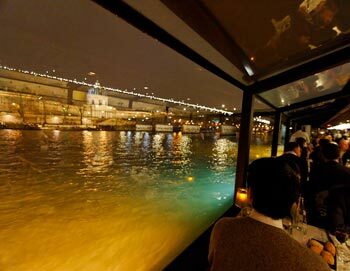 Savor a delicious dinner as you cruise by some of the most iconic landmarks in Paris, lit up in the night sky. It's a romantic cruise you'll never forget! 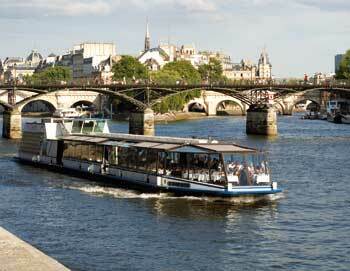 We advise you to arrive at around 8:45 PM at Solférino port, quai Anatole France, located just by the Musée d'Orsay. Here the La Marina's crew will greet you and seat you at your table for an unforgettable 2-hour dinner cruise. 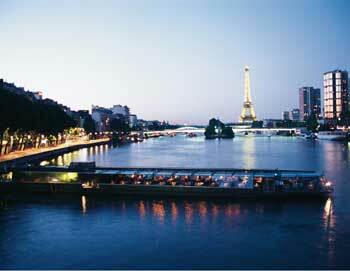 Admire the magnificent views of the illuminated monuments along the Seine. From the boat's large bay windows, you will see the Musée d'Orsay, Notre-Dame de Paris Cathedral and the Conciergerie located on the Ile de la Cité, as well as the Louvre, and the famous bridges of the Seine, of course. You will also get an exceptional view of the Eiffel Tower, illuminated in the night sky. The cruise starts at the foot of the Orsay Museum.